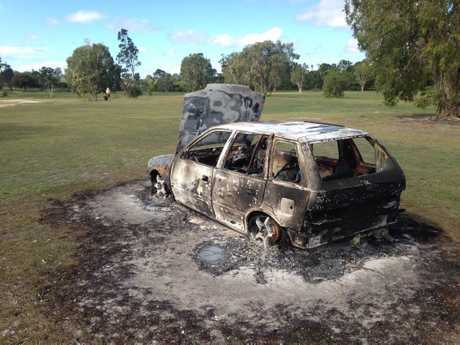 GOLF players turned up to Fraser Lakes Golf Club for a casual Sunday game when they discovered a new obstacle on the fairway: a burnt car. Fraser Lakes Golf Club operator Ryan Cameron said the car was already there when he got in at 6.30am. "I had golfers coming in telling me there's a burnt out car on the fairways," Mr Cameron said. He said the car's position created some difficulty for the players. Police are aware of the abandoned vehicle and are dealing with the situation appropriately.